The Georgia Securities Association (GSA) Scholarships are one-time grants that may be used for general academic purposes at any accredited college, junior college, university or graduate school. Applicants for scholarships must be an employee of a GSA member firm with their main employment address in Georgia, or an immediate family member/dependent of an employee of a GSA member firm with their main employment address in Georgia. Since 2010, the Georgia Securities Association has awarded over $200,000 in scholarships to deserving candidates. In 2017, the GSA was honored to award the First Annual Dallas Lundy Scholarship Award. Mr. Lundy was the 1995 GSA President and was instrumental in setting up the scholarship program. He has been a major contributor to both the GSA Board and the Atlanta Investment Community for decades. The deadline for applications is Wednesday August 15th, 2018. Note: Applicants will need to upload a short essay on their career goals, why they should be awarded this scholarship, a letter of recommendation and the first page of their Student Aid Report (SAR) from FAFSA to complete the application. 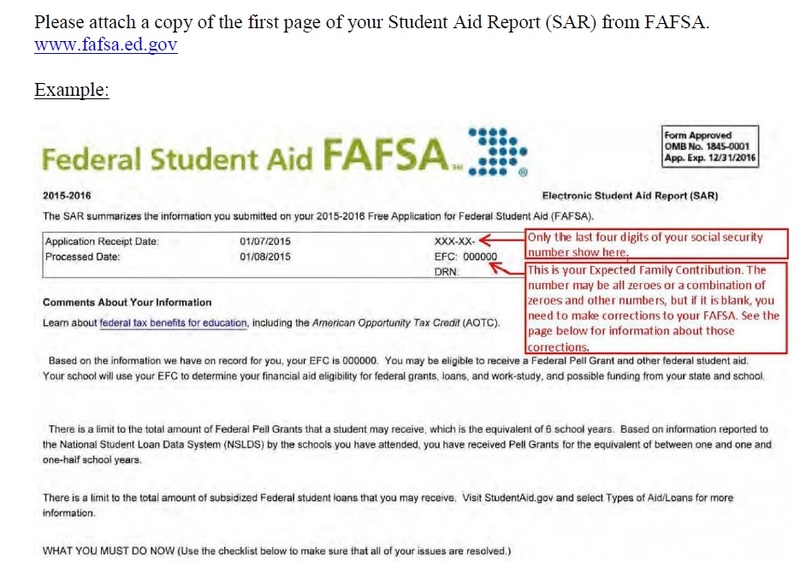 Click Here for a Student Aid Report example. Due to the sensitive nature of the information required for applying, the link above is secure.